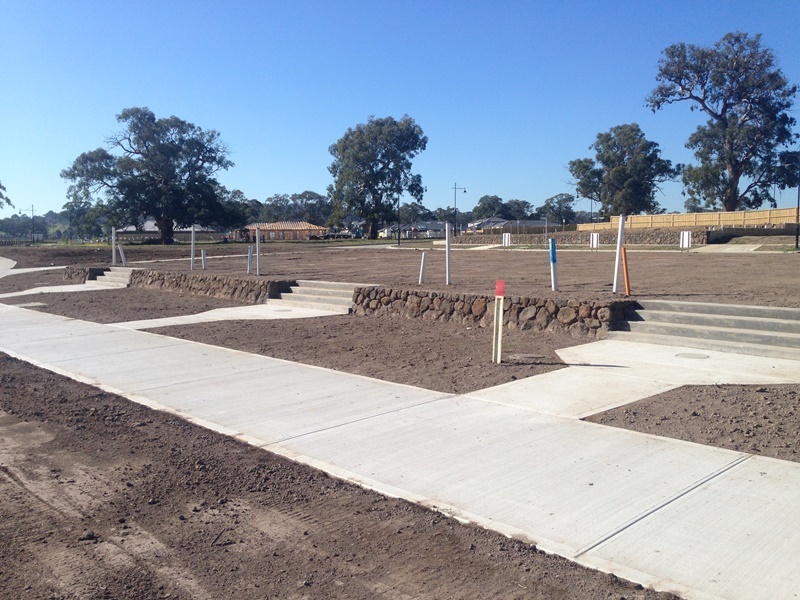 Stage 14 at Plenty River Estate required both timber and rock retaining walls to most of the blocks for sale. The backs of the allotments had over 100mts of a 1.5mt high timber retaining wall including drainage. The fronts of the allotments had a low rock retaining wall and feature concrete steps leading to the block. 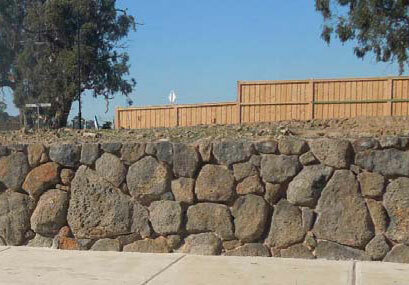 The rock was sourced from the site and our team completed the walls with no issues.